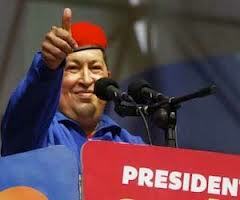 Hugo Chavez has won a fourth term of office, greeting his re-election as ‘a perfect victory’. Tens of thousands of his supporters thronged the streets in Caracas to celebrate that win. But in contrast to previous eletions, this time the poll was relatively close. Mister Chavez won just under 55 per cent of the vote, his challenger Henrique Capriles won almost 45 per cent. So will Mister Chavez be able to press ahead – or will he be forced to come to terms with the fact that almost half the electorate wanted a different President? VOR’s Hywel Davies discusses this with his guests: Alvaro Sanchez, Deputy Ambassador at the Embassy of Venezuela in London; Matt Ince, project manager at Royal United Services Institute; and Dr Lee Salter, Senior Lecturer at the University of the West of England.